The excellent properties of the material liquid silicone rubber (LSR), combined with the tool and processing technology and the expertise in mixing of the BIW experts offer the ideal basis for the solution of customised 3-D elastomer requirements. As compared to peroxide vulcanisation as customary for solid rubber moulding (HTV), addition curing of the liquid silicon rubber (LSR) offers the advantage that no undesired decomposition products will result. LSR moulded parts contain neither toxic nor aggressive substances. BIW configures scenarios of technical and economic solutions for special tasks, develops 2-component parts based on integrated tool systems and realises order-oriented series production, either in a semi-automatic insertion process or in highly efficient automatic mode. The individual customer requirements always are the benchmark in the scope of a thermoplastic-silicon 2K project. You want more information about Silicone Mouldings? Please download our brochure. 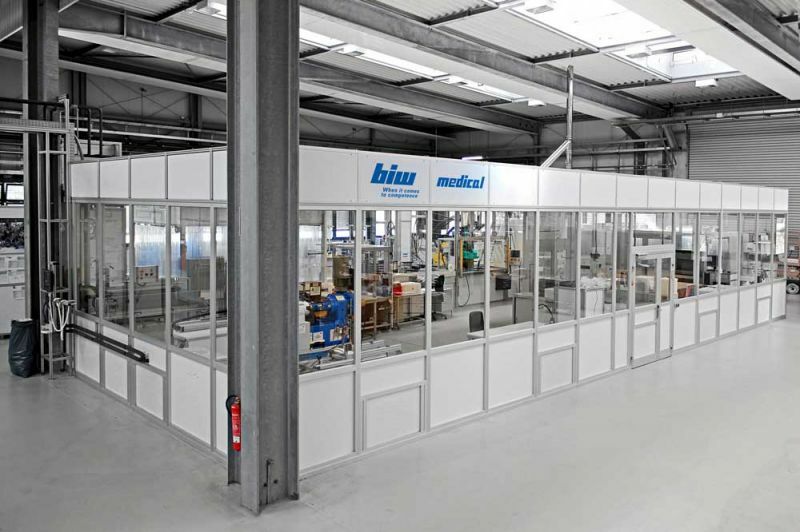 BIW has a Class 7 and 8 cleanroom according to DIN EN ISO 14644-2 for sterile production of physiologically suitable materials which comply with the requirements of medical and pharmaceutical regulations and pharmacopoeia.